All prices in US dollars unless otherwise noted. 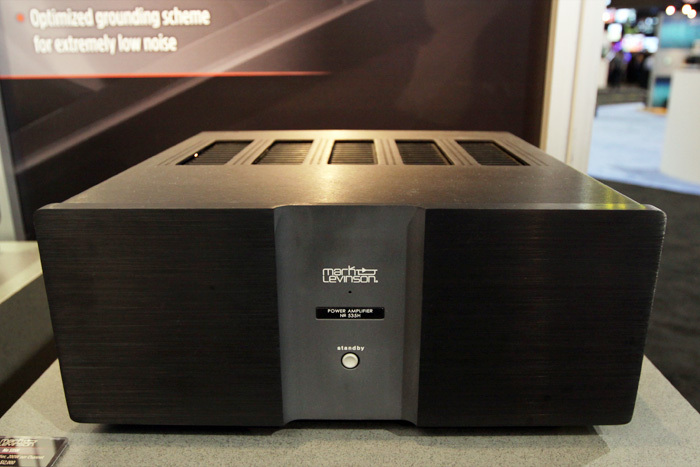 Mark Levinson introduced the 500H amplifier series that includes four models: No. 531H (mono, $6500), No. 532H (stereo, $8000), No. 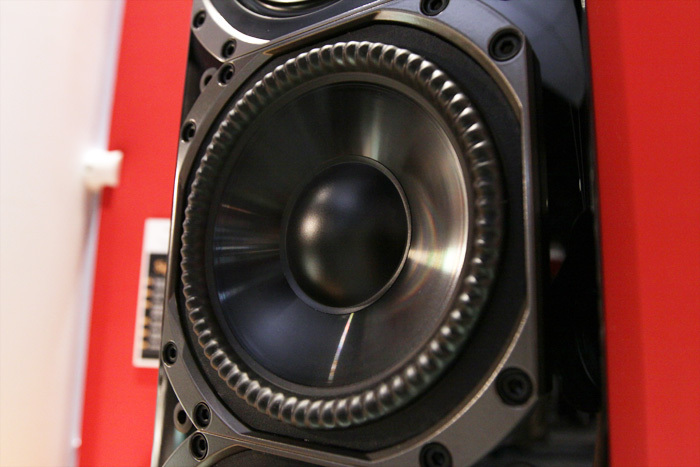 533H (three channels, $10,000) and No. 535H (five channels, $12,000). The No. 535H shown above is said to deliver 200Wpc into 8 ohms. The other models are all rated to deliver 300Wpc into 8 ohms. 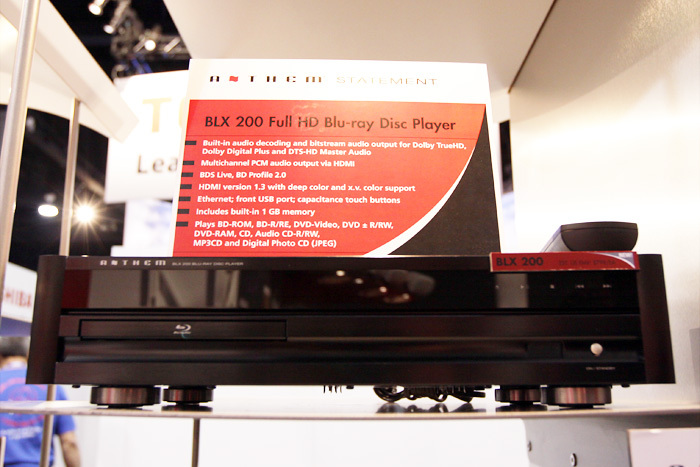 Lexicon introduced the BD-30 Blu-ray player (top) that is said to have the "fastest response time on the market." By fastest, they are talking about how fast it loads the discs and gets an image to the screen, as well as skips through chapters. The company obviously recognizes that the slow performance that many players exhibit can be frustrating for consumers. The BD-30's price is $3499, which is fairly high, but they say it's the world's first THX-certified Blu-ray player and that, besides Blu-ray, it supports all the popular video and music disc formats, including SACD and DVD-A. 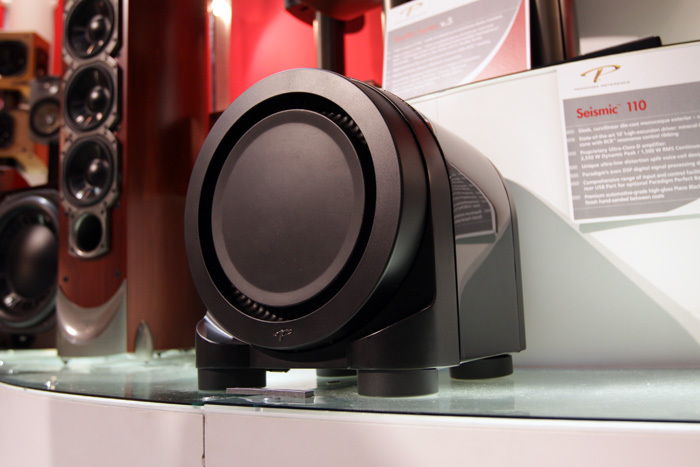 Under the BD-30 is the company's MC-12HD audio/video processor that's priced at $9999 and has recently received a firmware update to improve performance. 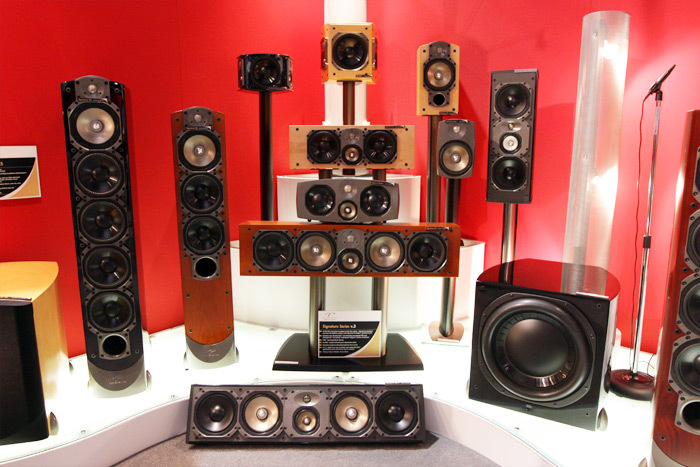 You won't find just audio and video products at CEDIA. 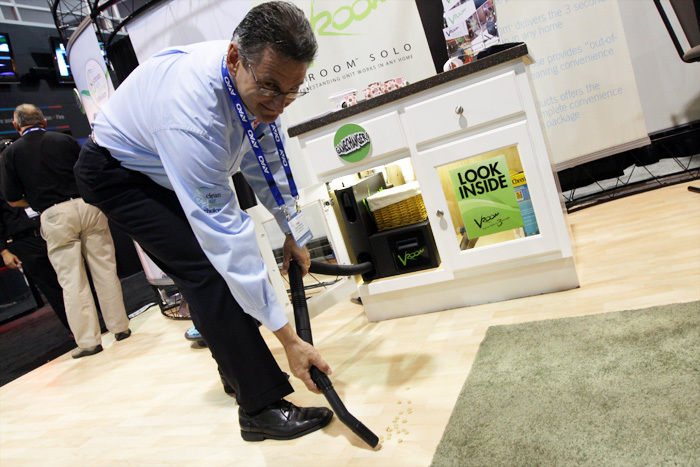 The $299 Vroom in-cabinet vacuum cleaner is a super-handy device from H-P Products that has a hose and nozzel that can be pulled out and whipped back in snap. We're thinking of getting one for our reference home-theater room to deal with frequent popcorn spills -- we're not kidding.